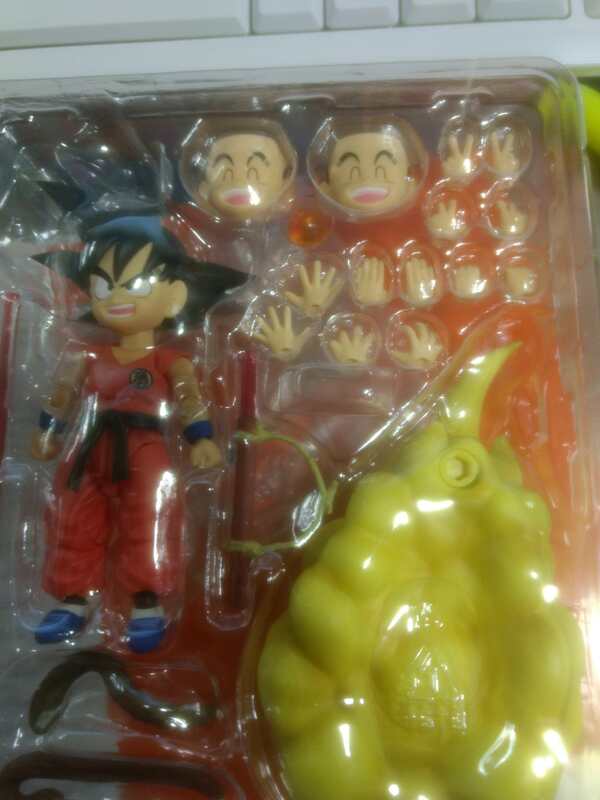 Just received my Kid Goku. He came with 2 closed eyes smiling face, and no open eyes smiling face. I'm really pissed right now. Did that happen to somebody here? Has Tamashii honest-to-God lowered their bar that low? I mean, it may or may not be their fault, but this is a pretty big screw-up on their part. I've seen something like that happen once with a collector, since 2013, when I started collecting it. To be honest, I never expected that it would happen to me. It's just so amateur. Yeah, it's just so stupid as to why this would happen. I have yet to see them screw up this badly. Terrible faces and wet pants paint are one thing, but sending people duplicate faces? That's just stupid. So, my God Goku's right knee on the lower end of the joint is squeaking. Making me think it's either going to break or it's going to get insanely loose. There's also a slight bit more of a gap on the right side than there is on the left. I have no idea what this is and I'm not 100% sure of anyone that's selling him for lower than $100 and isn't a bootleg. And it's long out of warranty as well, so if it breaks I'm screwed out of a God Goku. Damn it, Tamashii! I would've expected this from NECA, but clearly I've been proven wrong. Let's hope no one else winds up like this!